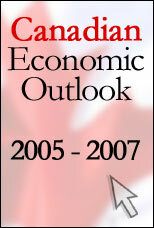 Canada in the Throws of Global Headwinds: How Long can Canada Remain an Island of Stability in a Sea of Turbulence? The European Debt Crisis: Can the Euro Survive? The Euro Debt Crisis: Will the Euro Survive? Resolving the Euro Debt Crisis and Saving the Euro: Could a Euro-Zone Bond be the Answer? Wen Jiabao's Visit to Greece: What is Behind this High Level Move? Keynesianism on Trial: Why The Obama Fiscal Stimulus Package May Not Work. 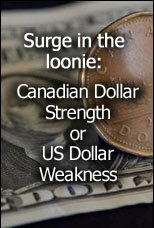 Surge in the Loonie: Canadian Dollar Strength or US Dollar Weakness? The Fed Funds Rate to Rise for Ninth Time to 3.25%: Measured or Hurried Pace of Rate Increases? Fed on course to Raise the Overnight Rate to 3.0%, and then what next? Federal Reserve Expected to Cut Fed Funds Rate 1/2 Point Today! Greenspans Inter-meeting Surprise Rate Cut: Cause for Cheer or Worry?